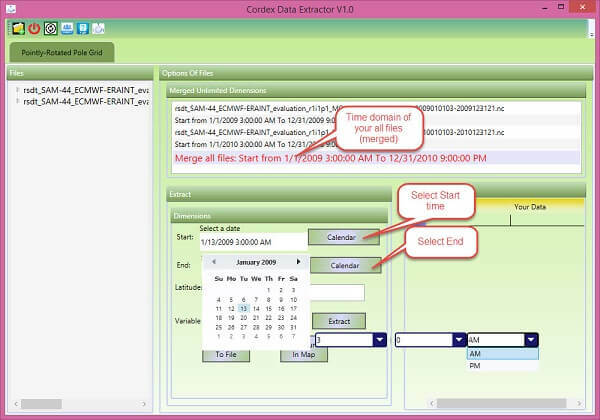 What is Cordex Data Extractor software? 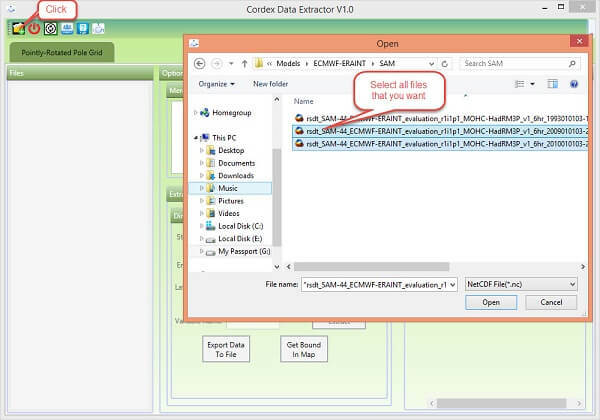 This tool is a windows desktop software for extracting data from CORDEX NetCDF files. This tool can merge CORDEX NetCDF files temporary and then extract favorite time series once. In this tool, the user can select start time, in the first file and end time in the last one. In this software, you can extract your data by using regular latitude and longitude. The user doesn't need any special information about netcdf database and programming. CORDEX Data Extractor firstly convert your regular coordinate to rotated coordinate based on CORDEX domains and then CORDEX Data Extractor will extract your data by using rotated coordinate and rlat/rlon variables in your CORDEX NetCDF file. If this tool couldn't extract your file, you can refund your shopping. How can I use Cordex Data Extractor? 1- Install CDE by click on "Cordex Data Extractor.exe"
4- Please enter your regular coordinate in decimal format and your variable name, then click on "Extract". Notice: You can view domain of your file by clicking on "Get Bound In Map". Please select your Latitude and Longitude in domain. The specified red lines on the map are just for show the domains and it is not exact. Notice: You can use rotated pole grid NetCDF files. These files should have rlat/rlon variables.